Posted August 15, 2014 by Heather Michet & filed under Drinking Water, Exercise, Fitness, Food, Health Tips, Water. We all need them, we all lose them, and losing too many due to excessive perspiration can lead to body troubles. (Read more about symptoms of electrolyte imbalance here). In hot summer weather when activity and sweating levels are higher, electrolyte deficiency is more likely than during cooler temperatures. What are electrolytes? They are minerals in blood and other body fluids that have the ability to carry an electric charge, important factors in overall body function since an electrical system controls your heart. Electrolytes affect the amount of water in your body, the acidity of your blood (pH), muscle function, energy production and other important processes. They are replaced by drinking water and eating mineral-rich foods. Healthy individuals usually meet their electrolyte requirements over the course of a normal day by eating and drinking. But modern life and its dependency on processed foods and those grown in depleted soil, and increased consumption of drinking water stripped of its naturally occurring minerals (altered by distillation, reverse osmosis and other methods), has resulted in a distinct drop in meeting our electrolyte needs (with the exception of sodium, of course). Conditions that promote excessive sweating and increased metabolic activity (extremely hot, dry environments and engaging in heavy physical activity) can push our bodies into an electrolyte imbalance and possible deficiency. This is when you have to give your normally self-regulating body a helping hand with a mineral supplement such as Electrolyte Stamina Paks. 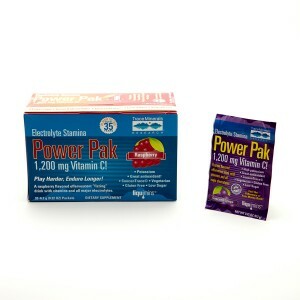 These can help restore electrolyte balance so you can continue your active life healthfully. Be active. Enjoy life. Drink plenty of water and pay attention to your body’s clues that it may need some help in boosting its electrolytes balance.